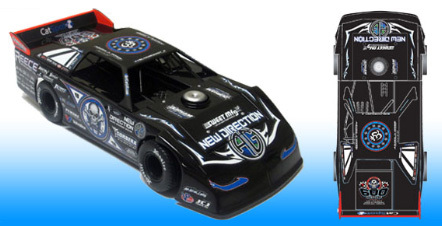 2016 Morgan Bagley #14M Gotta Race / Dirt Late Model diecast, by ADC American Diecast Company. The Morgan Bagley Racing #14M Gotta Race dirt late model was raced by Morgan Bagley during the 2016 Dirt Late Model season. 2016 Steve Casebolt #c9 Dirt Late Model diecast, by ADC American Diecast Company. The Steve Casebolt Racing #c9 dirt late model was raced by Steve Casebolt during the 2016 Dirt Late Model season. 2018 Rick Eckert #7 Dirt Late Model 1/64 diecast, by ADC American Diecast Company. The Paul Crowl Racing #7 dirt late model was raced by Rick Eckert during the 2018 Dirt Late Model season. 2016 Steve Francis #15 Optima Batteries / Dirt Late Model diecast, by ADC American Diecast Company. 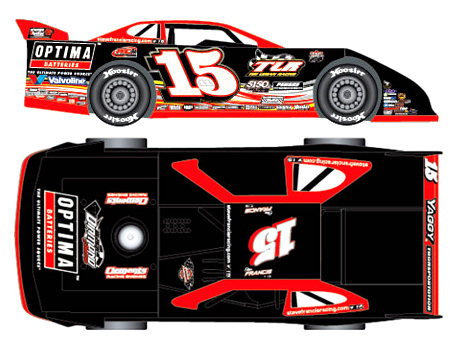 The TLR Tim Logan Racing #15 Optima Batteries dirt late model was raced by the "Kentucky Colonel" Steve Francis during the 2016 Dirt Late Model season. 2018 Darrell Lanigan #14 iRacing / Dirt Late Model diecast, by ADC American Diecast Company. The Clint Bowyer Racing #14 iRacing dirt late model was raced by Darrell Lanigan during the 2018 Dirt Late Model season. 2016 Darrell Lanigan #15 Georgia Boot / Dirt Late Model diecast, by ADC American Diecast Company. The Clint Bowyer Racing #15 Georgia Boot dirt late model was raced by Darrell Lanigan during the 2016 Dirt Late Model season. 2018 Chris Madden #44 Firecracker 100 Winner / Dirt Late Model 1/64 diecast, by ADC American Diecast Company. 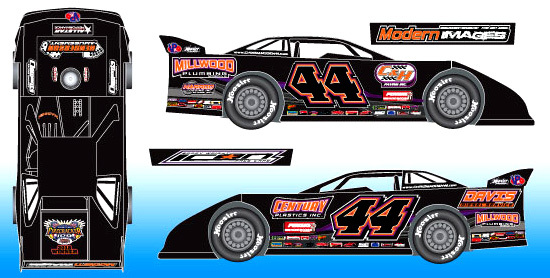 The CMR Chris Madden Racing #44 dirt late model was raced to victory by Chris "Smokey" Madden in the 12 Annual World of Outlaws Firecracker 100 at Learnersville Speedway. This car features the Firecracker 100 2018 Winner logo on the decklid. 2018 Mike Marlar #157 RS Equipment / World of Outlaws 2018 Champ / Dirt Late Model 1/64 diecast, by ADC American Diecast Company. This Mike Marlar Racing #157 dirt late model features the 2018 World of Outlaws Craftsman Late Models Champion logo on the decklid. Mike Marlar, the 2018 World of Outlaws Craftsman Late Models Champion!